Coffee demands a colossal amount of resources to move from farm to cup. Being one of the most traded commodities in the world, it engages a strong workforce, especially in producing countries. Despite the fact that women play a critical role in the coffee industry, the resulting income is often nabbed by men. Notoriously male-dominated, the coffee industry is, in fact, disproportionately powered by women labourers. In most cases, farm owners are males and cooperatives are controlled by males as well while women mostly the fields. This uneven representation has allowed gender inequity to settle down in the coffee industry and now, from giant coffee chains to small coffee harvesters, patrons in the coffee industry are pooling resources to bridge the gap and create a prosperous model to promote coffee’s sustainability. Adopting a sustainable model has become incumbent as industry experts and researchers warn that unethical practices and climate change may negatively impact the industry in the long term. Gender inequity is one of the disagreeable attributes of coffee’s infrastructure that players in the coffee industry are striving to change. Working mostly as temporary employees, women labourers are paid scanty remuneration and are at a higher risk of encountering fraudulent acts such as wage theft or deceptive hiring practices. Permanent female workers are no strangers to hardship, either. Smallholder farms, specifically family-controlled operations, account for much of the permanent labour force in the coffee industry. To make the businesses financially solvent, the women on these farms are generally required to perform year-round duties beyond harvest. Nonetheless, they are often not entitled to a formal wage as capital is reinvested into the farm for other priorities such as maintenance work. The problem is even more conspicuous in farms producing low-quality, commodity-grade coffee as the revenues regularly fail to make up for the costs of property maintenance. Specialty coffee production can bring more than double the price of commodity coffee, but it also has its set of challenges such as a higher need for extra work and working capital. Whether they are working for commodity or specialty coffee production, women shoulder various responsibilities such as tilling soil, planting and pruning trees, and plucking coffee cherries. They equally haul the take uphill, rake and cover coffee across drying patios. 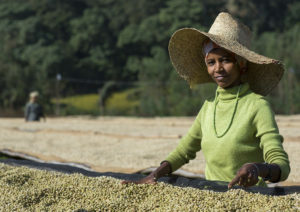 Many women also handle the books and have to transport coffee beans to exporting mills. It is not uncommon to see women standing in rows to remove defects and debris from conveyor belts in mills that lack the latest sorting technology. Women in coffee producing countries equally work more than men as, aside from their duties and responsibilities on coffee farms, they are equally responsible for household chores such as child rearing, collecting wood for fire, caring for the elderly, cooking and cleaning. Industry experts and various organisations strongly believe that by bringing gender equity, these women will be given the same opportunities to bloom in justice and fairness. Gender equality would also free both men and women from existing stereotypes, prejudice and discrimination, opening pathways and opportunities for women whose value has been drastically minimized in the coffee industry for long. Women are now being emboldened to overcome gender bias and step into rightful leadership roles in the coffee industry. In various coffee-producing countries, they are now ascending ranks. These women are bringing solutions to combat unduly cheap coffee by placing quality as the priority. 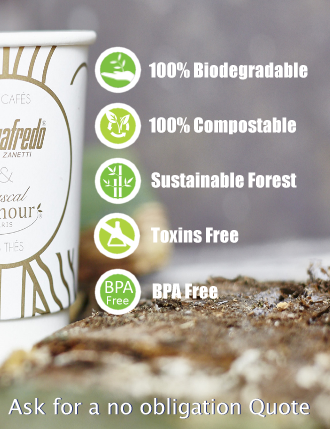 In other words, they are exploring and pursuing various ways to promote specialty coffee that is impartially recognized for its quality worldwide. Kohana Coffee is one of those companies that are giving full support to women in the coffee industry. Listed as one of fastest-growing food and beverage companies, it is planning to source completely from women-owned and women-run coffee farms by 2020. Kohana Coffee expects to be able to change the face of coffee leadership and lift up women across the supply chain. Across the coffee industry, women have started to embrace this confidence. Another example is Java Mountain Coffee, a company devoting itself to women empowerment in Indonesia. In this country, women account for approximately 60% of the workforce in the coffee industry but receive only 10% of the income. Java Mountain Coffee, an all-female cooperative in charge of managing Fair Trade certifications, was the first to break the rules, allowing women to manage the premiums they earn as per Fair Trade guidelines. In Uganda, the Gender Applied Learning System (GALS) is helping members envision ownership and responsibility. Through training programs, it led to an upsurge in women leaders and higher quality coffee, thus bringing greater value to the cooperative. In Colombia, The disparity between women and men in the coffee industry is still flagrant. Even if 30% of small farm owners are women, they hold only 8% of leadership roles at state committee level in the Colombian Coffee Growers’ Federation. However, organisations are helping to make the coffee woman’s journey more visible, and help them in gaining recognition for their vital roles in the industry. The specialty coffee industry is unfolding a panoply of opportunities to minimize the gender gap, simultaneously resulting in benefits both for the specialty coffee farmers and suppliers. Celebrated for its unique flavours and ethical processes, specialty coffee is also characterized by direct relationships with coffee farmers, a surefire means to recognize and pay for their efforts in a fair manner. On a parallel note, distinguished women in the coffee industry are lifting other women in the industry. They are facilitating discourse on what it means to be a women coffee professional and competitor. By displaying their skills to the audience, to the judges, and to all the coffee producers and roasters, these women start to highlight their existence in the industry, opening opportunities for other women ready to focus on high-quality and ethical practices.